How does an aura camera work? 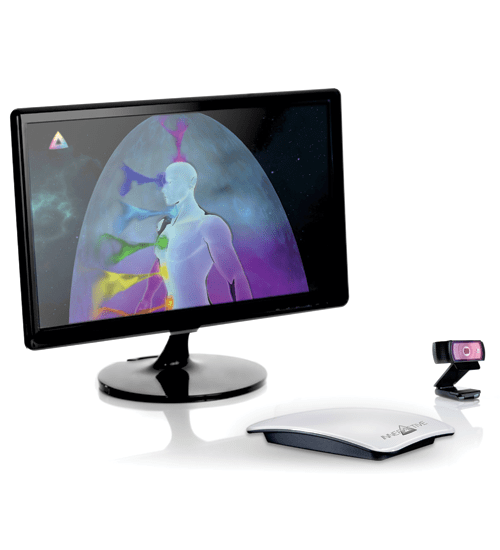 The AuraCloud 3D system is an interactive, multimedia aura imaging computer system that allows for a quick aura and chakra reading. Aura camera imaging has just got easier and more powerful. Aura camera imaging includes cutting edge, innovative technology. The system analyzes changes in real-time, delivering rapid readings that reflect beautiful aura states. Keep track of sessions and showcase your services. Delivering powerful solutions that revolutionize aura imaging for businesses. By saving aura imaging sessions, AuraCloud 3D allows owners to show aura-chakra trends that can be used to alter how you interact with your clients. Reveal aura and chakra imbalances through detailed sessions. Help educate clients on ways to balance their aura-energy. Aura imaging makes a powerful marketing tool that may help you upsell your services by showcasing before and after aura imaging readings.